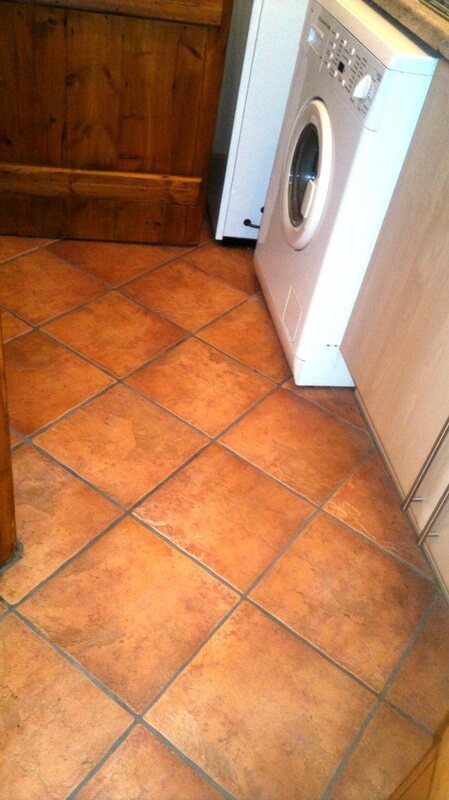 This Porcelain Terracotta floor had dark grout and the home owner wanted the colour changing to lighten the floor. 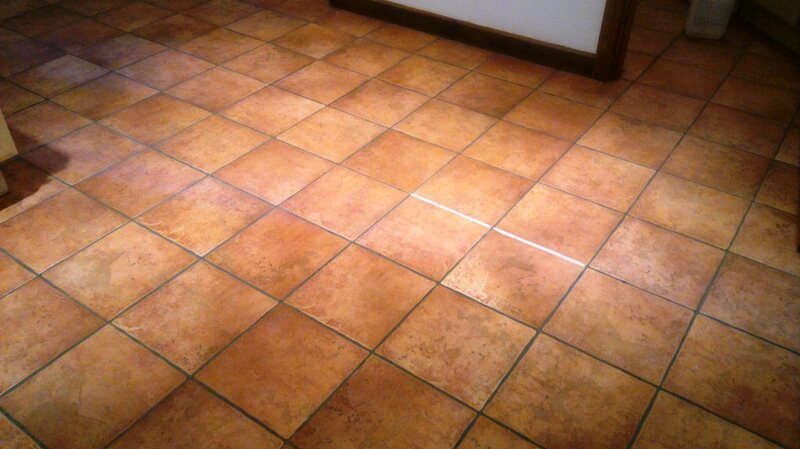 There are a number of products on the market for this purpose including grout colour pens which are ok for a quick touch up but for a large area like this you really need to use the range recommend by Tile Doctor which not only change the colour but also provides a protective barrier that seals the grout as well ensuring it keeps it appearance well into the future. 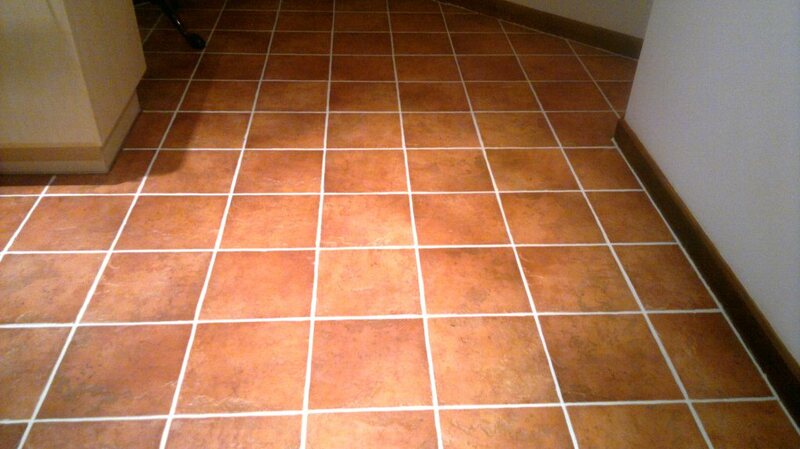 Before applying a Grout Colour it’s important to ensure the grout is clean of grease and dirt; Tile Doctor Pro-Clean is a strong alkaline cleaner that’s good for this purpose, for best results you should allow the cleaner to dwell for a while and then get into the grout joints by hand with a stiff brush. 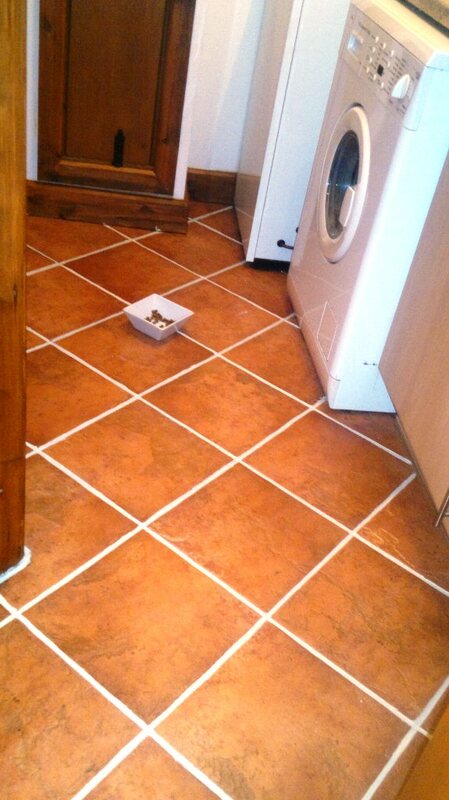 Last step is to rinse the floor down with clean water to remove any remaining cleaning product, I recommend the use of a wet vacuum at this point to remove liquids from the floor.